The N.E. Side of The Fort On the Island of Aix. 1758. An antique line engraving by B. Cole. 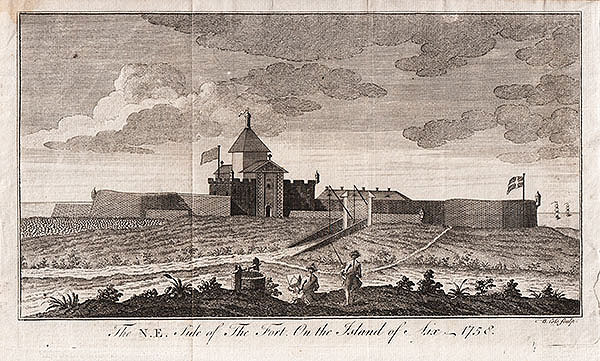 This view of the Island of Aix depicts a scene during 'The French and Indian War (1754-1763)' Has a few vertical folds. 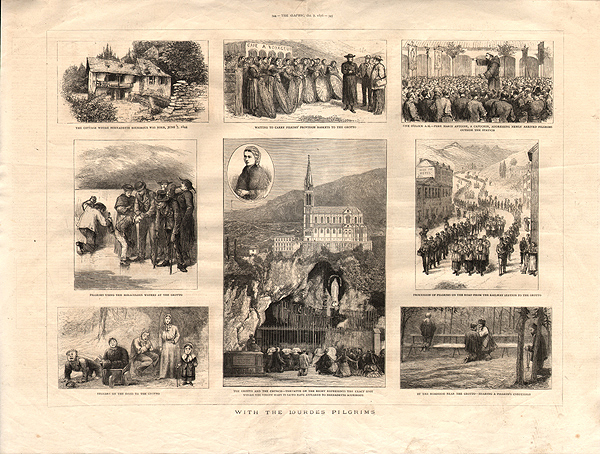 Anatique woodcut engravings which were published in "The Graphic" newspaper on October 7th, 1876. An antique line engraving by Clarke after Bremner. Circa 1840. Later coloured by hand. An antique line engraving by W. Miller after J.M.W. Turner. R.A. Circa 1860. Later coloured by hand. 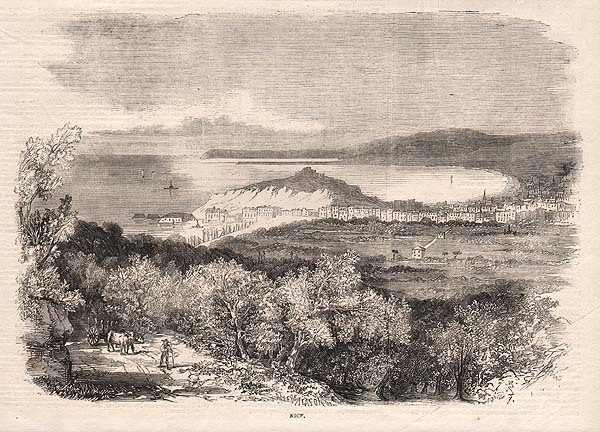 An antique line engraving by J.T. Willmore after J.M.W. Turner. R.A. Published in 1834. Later coloured by hand. Palace of La Belle Gabrielle on the Seine. An antique line engraving by W. Miller after J.M.W. Turner. R.A. Published in 1834. Later coloured by hand. An antique line engraving by W. Miller after J.M.W. Turner. 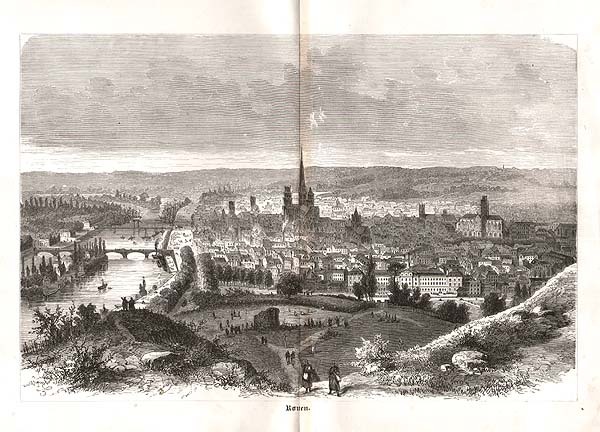 R.A. Circa 1835. 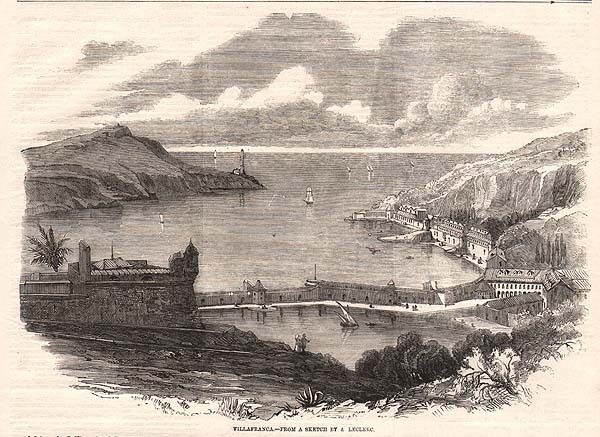 An antique woodcut engraving which was published in "The Illustrated London News" on Dec. 18, 1858. An antique line engraving. Circa 1880. Centrefold as published. 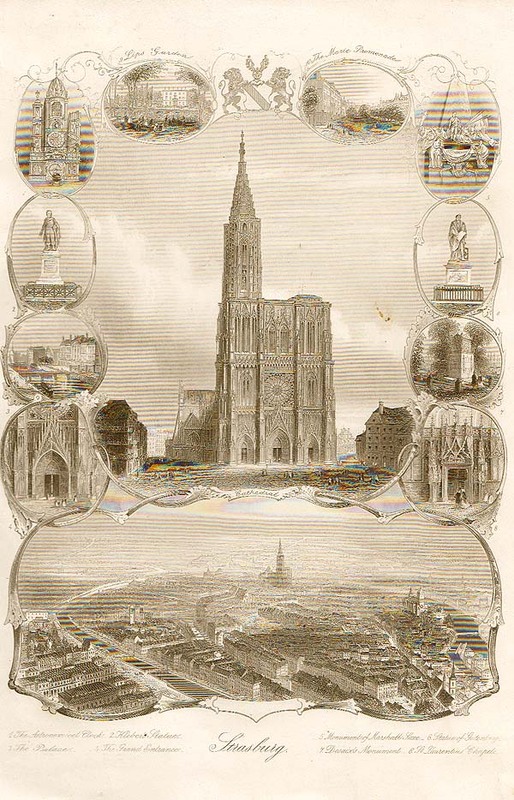 Antique line engravings of views of Strasburg, incliuding a general view, the Cathedral etc. Circa 1880. 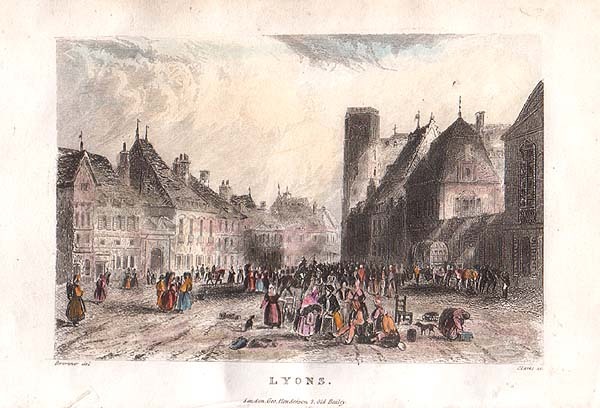 An antique line engraving by W. French after Eltzner. Circa 1880. Centrefold as published. 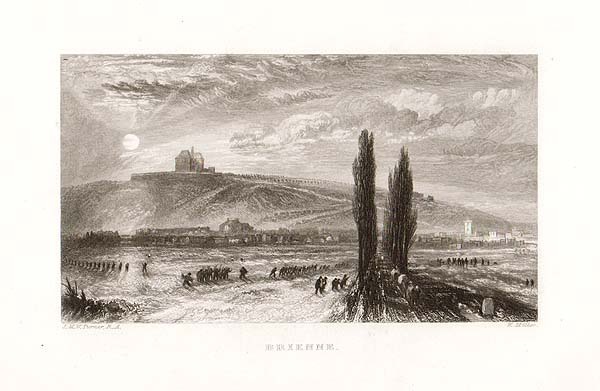 An antique line engraving by W. French after Asselineau. Circa 1880. Palace of the Duke of Bedford at Rouen. Antique line engraving by J. Godfrey after G.F. Sargent from a sketch by S. Prout. Circa 1840. St. Stephan's Kirchw, St. Etienne. An antique line engraving. Circa 1820. The colouring is original. Church of St. Jaques, Dieppe. 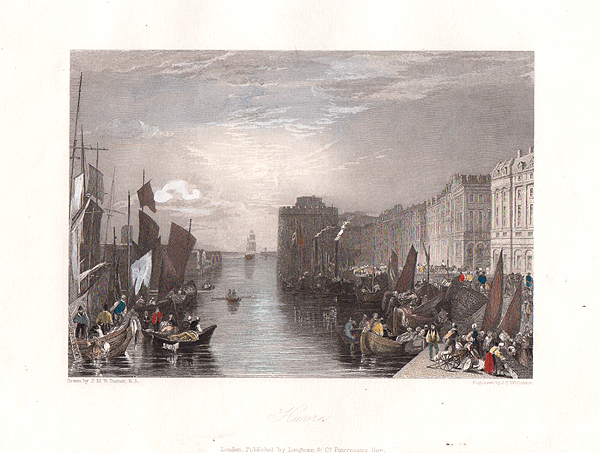 An antique line engraving by T. Higham from an original drawing by D. Roberts. Published in 1834. The colouring is later. An antique line engraving by J. Carter from an original drawing by S. Prout. Published in 1834. The colouring is later. 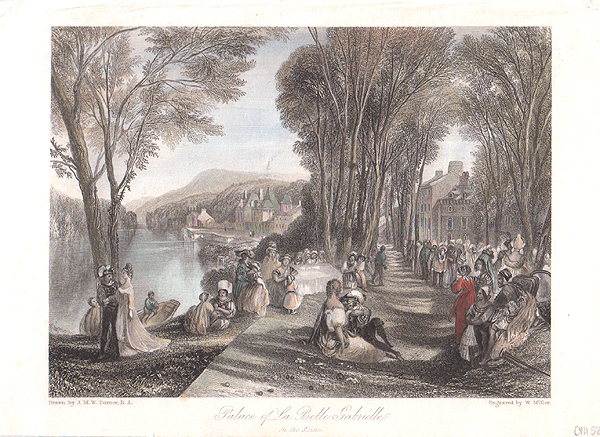 An antique line engraving by H. Winkles from an original drawing by D. Roberts. Published in 1834. The colouring is later. An antique line engraving by J. Tingle from an original drawing by D. Roberts. Published in 1834. The colouring is later. An antique line engraving by S. Fisher from an original drawing by D. Cox. Published in 1834. The colouring is later. A line engraving with decorative border by J.H. Lekeux after H.G. Hine. A line engraving by William Miller after J.M.W. Turner. 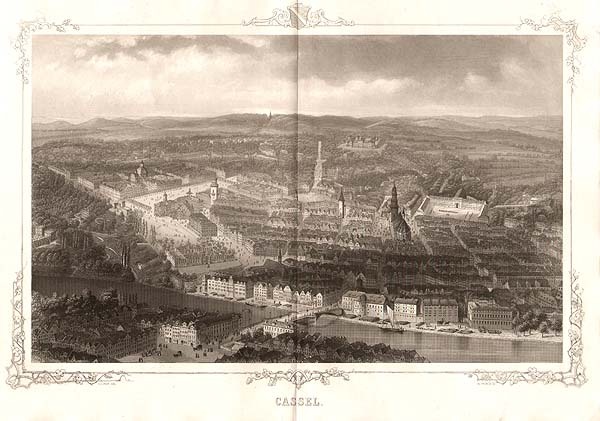 Circa 1850. The colouring is later. Curch of St. Jacques, Dieppe. A line engraving by T. Higham from an original drawing by D. Roberts. Circa 1840. View of St Malo in Britanny. A line engraving by W. Thomas. Published in the "European Magazine" in 1794. A line engraving by B. Winkles after J. Nash. Published in 1829. The colouring is later. Maison De Francois 1. Champs Elysees. A line engraving by A. Pugin after B. Ferry. Published in 1830. 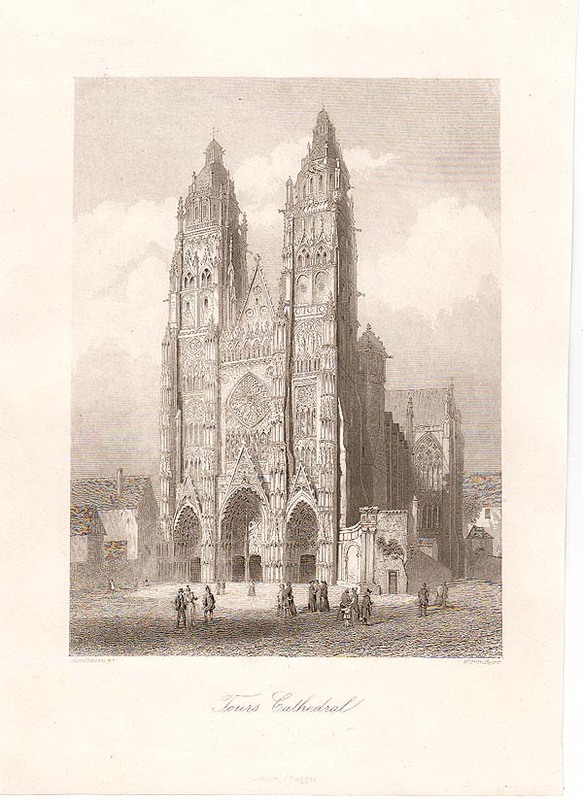 An Ancient place of Tournament near Senlis in France, built by James Duke of Vendome about the Year 1500. An early line engraving by Thomas after Tavernier. Published in 1792. Nice, from The Promenade Des Anglais. 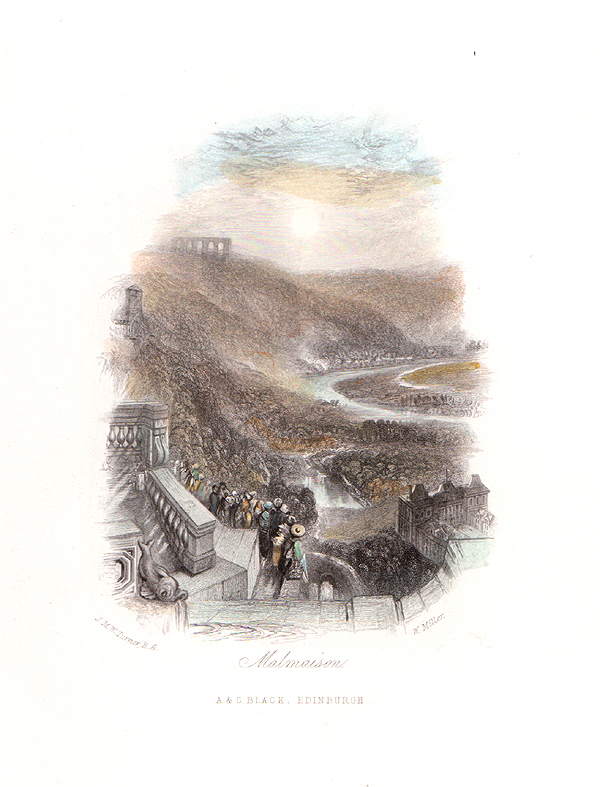 A woodcut engraving which appeared in "The Illustrated London News" on 10th February, 1866. A coloured lithograph by C. Hullmandel after J.D. Harding.